Winter had come as it did every year; draping the woods in a beautiful carpet of snow that induced a quiet, content slumber among the woodland animals. After the appointment of the Marten, only some had left to seek the warmth of the South for good. The rest were no longer afraid. The Marten would surely be successful and save them all. He was a brave animal, a real hero, so they slept; snug and warm in their dens. Only one tiny, little mouse was not asleep. He so enjoyed the snow, it made the Moorwood look like a different world like it was made of soft white clouds, and so he spent the frosty winter days building himself a friend out of snow, so when the solstice rolled around he would have someone to celebrate with. 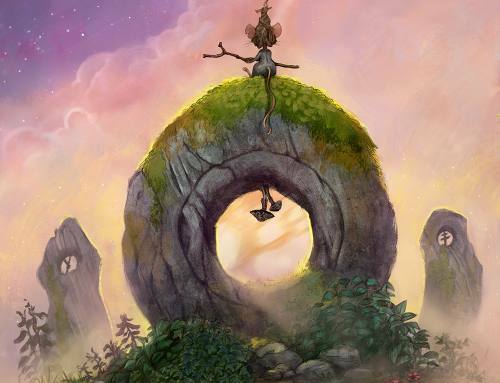 This is a teaser for my personal project Montague Mouse; an illustrated storybook in the making. 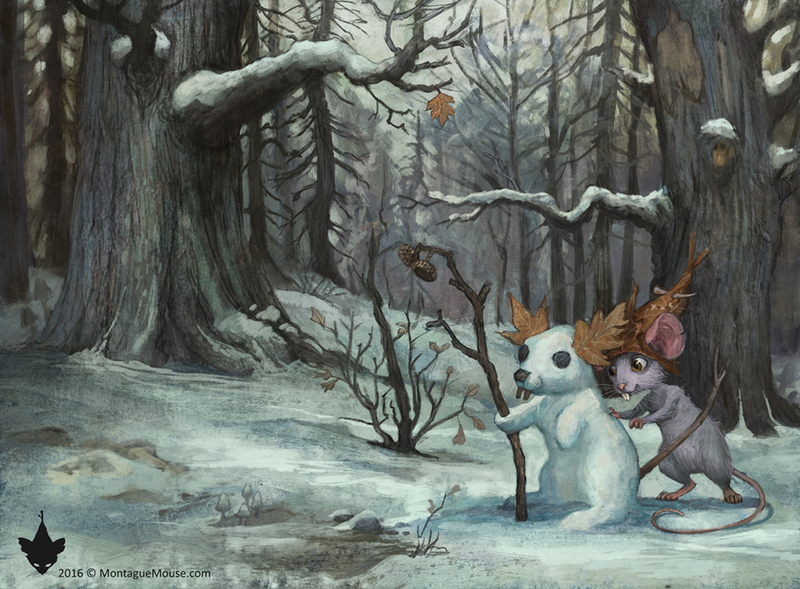 I recently finished this piece for my annual winter holiday illustration. I love painting snow, it has so many colors and nuances. When I was working on this and thinking of Montague I got so excited that I decided to also animate this piece, so here you are and happy upcoming holidays to you all!